It’s hard to deny; YouTube is a major advantage to any brand that’s serious about growth. It is the second most visited site on the web, after all, boasting more than 30 million visitors who watch 5 billion videos per day. Because of the enormous opportunity, the site has become an overcrowded channel. Plus, with more and more brands realizing the power of video marketing, the competition for the viewers’ attention grows even further. You don’t have to rely on customers finding your videos on YouTube only. You can ensure that Google ranks them in SERPs as well. 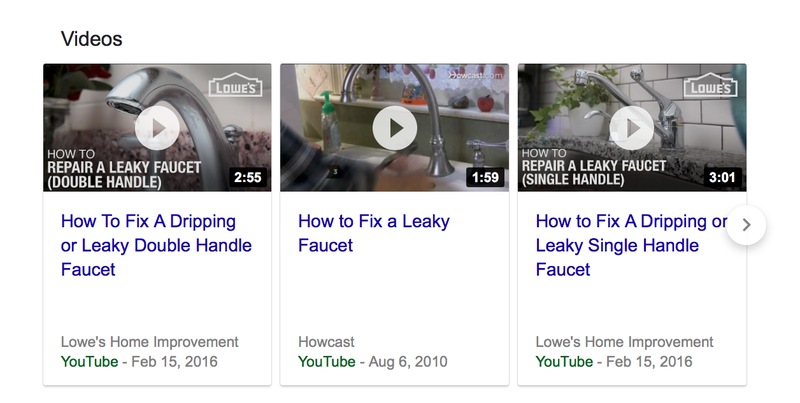 In this concise guide to YouTube SEO, you’ll learn just how to rank YouTube videos in Google. 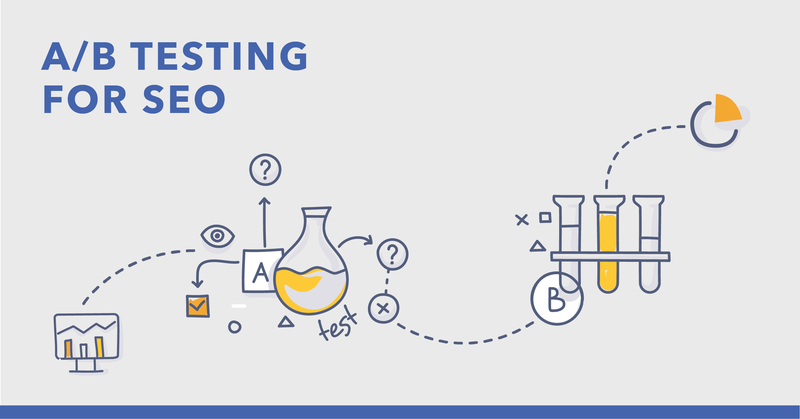 We’ll cover everything from checking your video’s current rankings to optimizing them to increase their visibility further. But first,let’s understand why video SEO is important to growing your brand and your SEO strategy. 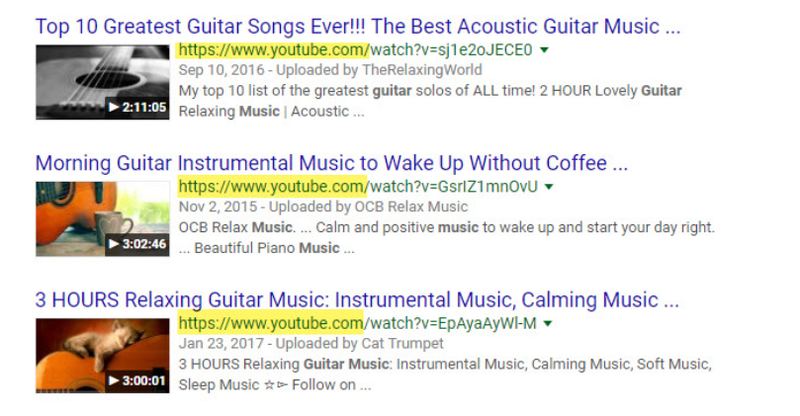 Why Bother with YouTube SEO At All? Recently,the search engine has decided to replace those video boxes with a carousel, allowing it to show more YouTube clips. (It’s important to note: the carousel only exists for desktop users.) . Appearing in either such prominent spot or as a part of a larger carousel can give a brand a much greater boost than breaking through the crowded YouTube network. Here are the exact steps that will help you take full advantage of this opportunity. 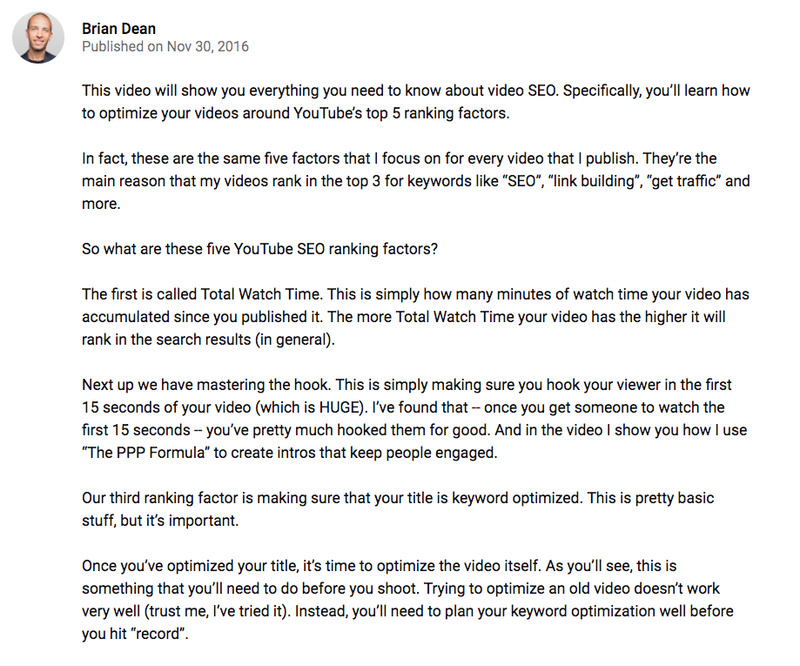 Just like with any other SEO strategy, the first step is to evaluate your current video rankings. For one, it’s hard to know how much work you must do unless you analyze the current situation. Also,you need a benchmark to monitor the success of your efforts. Therefore, assess how your YouTube videos rank in SERPs at present. One way to do it is to check them manually. Unfortunately, that’s hardly ideal,particularly, if you have hundreds of potential rankings to assess. 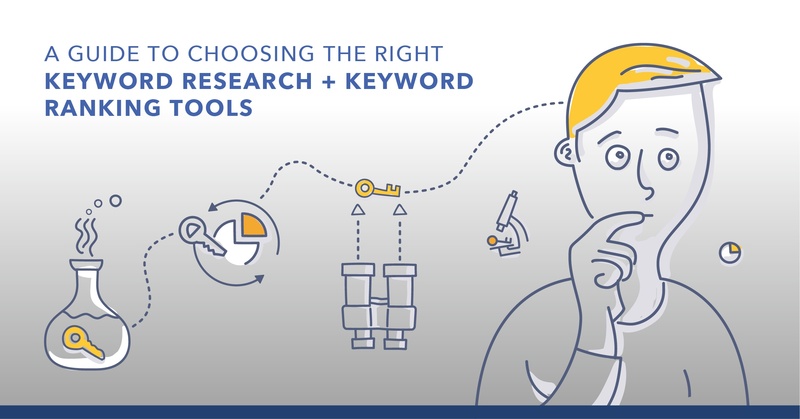 The other option is to use tools like seoClarity’s Video Rankings. It allows you to quickly collect ranking data for all your videos. 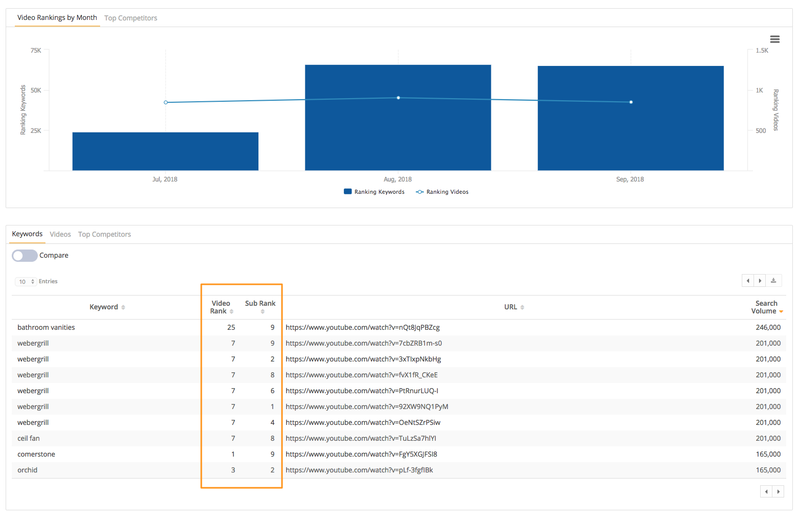 Note two metrics above – Video rank and Sub rank. 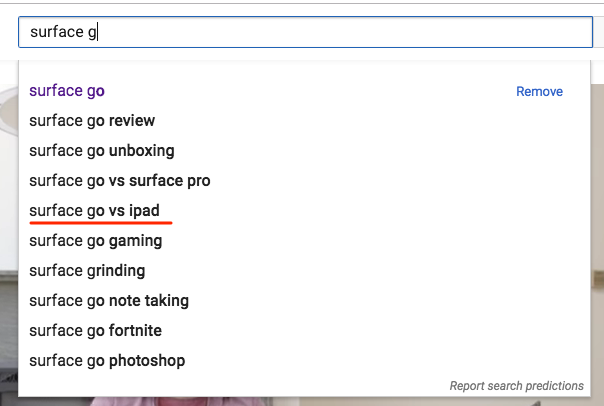 The first one shows a video’s ranking in YouTube’s search. The other, it’s rankings in SERPs. 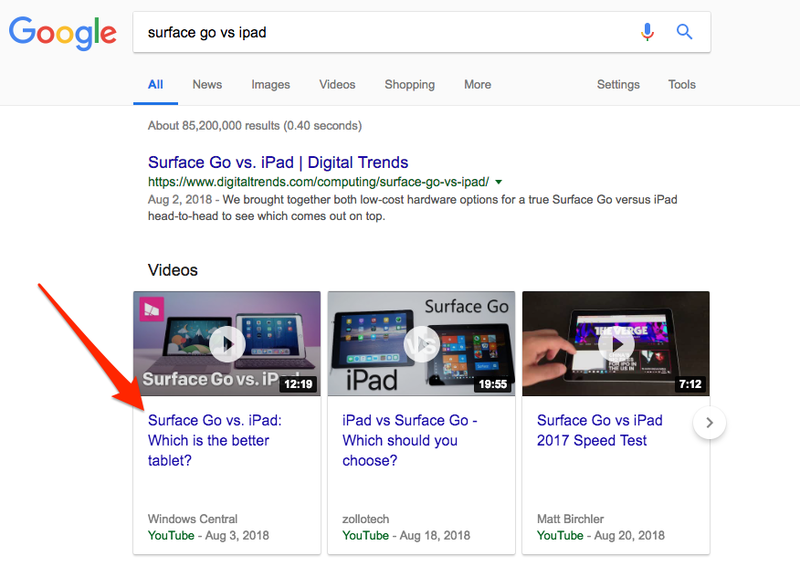 And combined, they allow you to identify what video content you should be boosting in SERPs first. Not all of your videos could be ranking in Google, in spite of attracting many YouTube views already. The most common reason I see for this is not using a video keyword in the video. Because you see, unless these are phrases relating to intent for finding video content, Google won’t include your videos in SERPs. The first step in optimizing those YouTube videos to rank better is to ensure that they target video keywords. Go to YouTube and start typing your target keyword. The site will immediately list keywords users have searched for that relate to your target phrase. Another strategy is to evaluate what keywords your competitors rank for already. Using our sample phrase above, using seoClarity, I can identify top channels ranking for this keyword quickly. 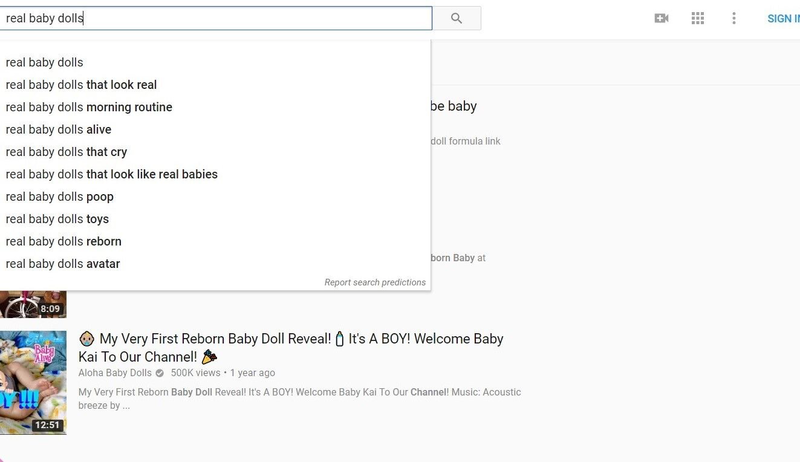 From the data, I can tell that I’d be competing with the “Realistic Baby Dolls” channel the most. Using the YouTube report in the platform, I can identify their keywords. Once you’re certain about the potential for your target keywords to trigger a video result, it’s time for some real YouTube SEO. And just like with on-page SEO, the most critical YouTube ranking factors relate to video title and the video description. Your video’s title works similarly to a page title. It communicates what the video is about, and it helps increase the CTR of your listing. And so, just like with on-page SEO, start the title with your target keyword, if possible. Otherwise, try to keep it as close to the beginning, or left of the title. TIP: To push the keyword closer to the left, use the “colon” headline formula I described in an earlier post (see point 5). And one more proof, this time showing that this is a video keyword indeed. One, provide additional information what the video is about. And two, include some additional keywords to increase the chances for Google to rank it for its relevant terms. Unlike the meta description tag on a traditional, text-based page, the YouTube description gives you more space to provide that information. In fact, the current description length limit is 5000 characters. That’s quite a lot to provide an in-depth description and weave some semantic keywords there, too. I recommend you try to include your primary keyword in the first sentence or the first few lines, if possible. Also, provide a URL to a page you’d like a person to visit after watching the video (more on that later). For example, here’s the description of the video I used as an example above. Notice how, in spite of not providing a lengthy copy, they still managed to include the most critical terms, related to the video’s topic. YouTube tags allow you to define and explain your video topics better. In doing so, you are given the opportunity to include additional keywords you would like this page to target. Although, I’d argue they missed the opportunity to include iPad-relevant keywords there, too. When selecting tags, remember that they can be no longer than 30 characters each. You can include the total of 500 characters in the tags section. This is a true gem of YouTube SEO. Because, if you think about it, the biggest challenge with ranking YouTube videos in Google is the inability to add long-form text to your description. This, in turn, limits your ability to communicate to the search engine what the clip is about and for what keywords it should rank. Transcripts and closed captions help you overcome this issue. Here’s how. A transcript is, as the name suggests, your video’s audio file converted into a text format, word by word. To benefit from it for SEO, simply include the transcription in the file’s description. 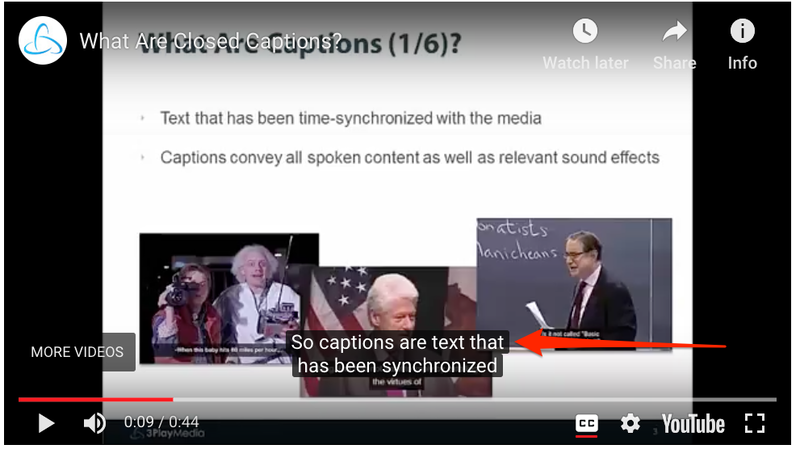 Closed captions also contain a transcript of your video’s audio. However, you upload them as a file to YouTube to play in sync with the clip. What’s important is that both transcript and closed captions file are crawlable. 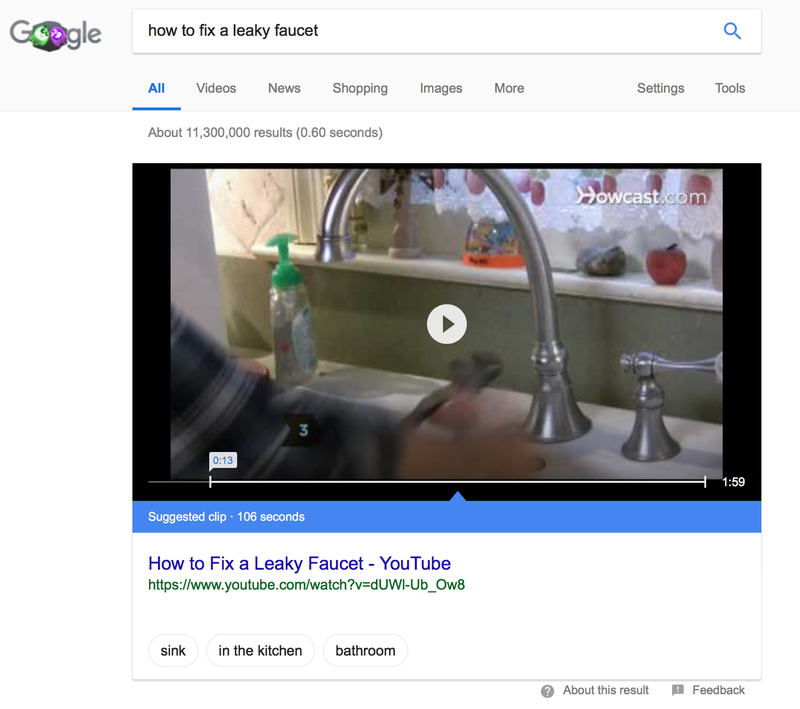 As a result, Google can use them to establish how to rank your YouTube video. The more people view, like, and share your videos, the more likely Google is to rank them. As you might expect, the more upvotes your clip receives, the more popular it will seem to future users. Naturally, upvotes aren’t something you can influence easily. 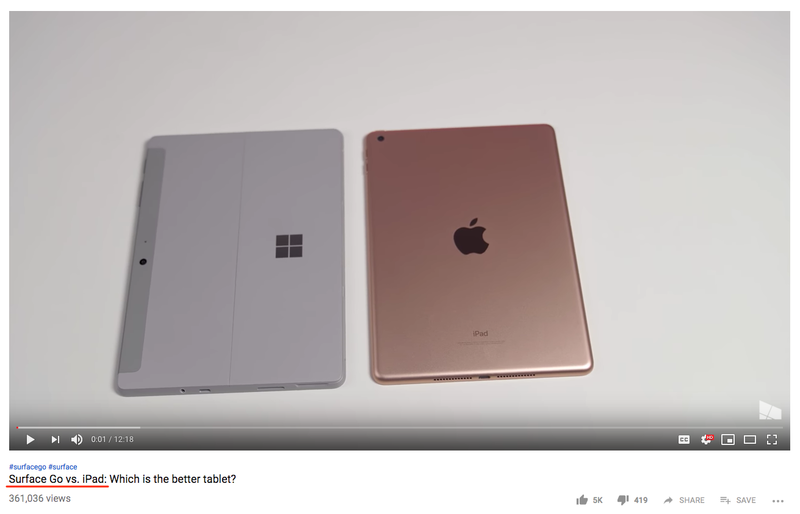 They reflect your video’s quality, and also, how many views you’ve managed to drive to it. But this being an important ranking factor, I suggest working towards getting more upvotes. Even simply asking people to share or upvote your clip in the description or the video itself could help boost the engagement a little. YouTube has already confirmed using the total cumulative amount of time people spend watching your video as a ranking factor. 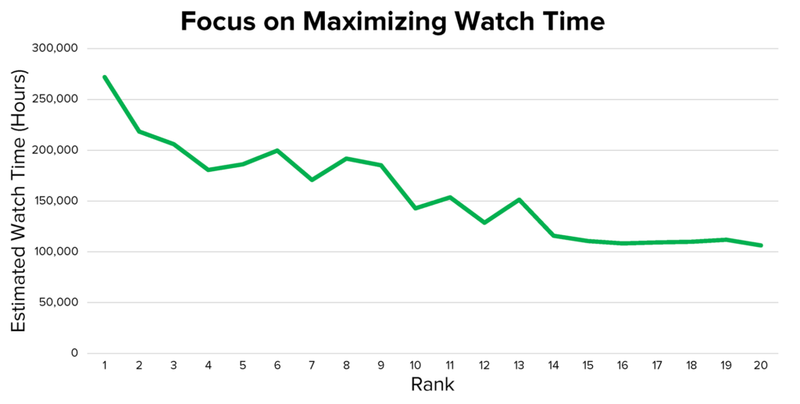 Some ways to increase watch time, according to Justin, include publishing longer videos and engaging your audience to come back to your channel over and over. Neither of them is easy to do, I admit. But each offers an incredible opportunity to boost your video rankings further. Much like in the traditional SEO, links play a critical role in your video’s rankings. On YouTube, however, these come in two formats – inbound links to the video and embeds. YouTube inbound links work just like any other reference to a page, they send traffic to your video’s page. Embeds, however, take the clip outside of YouTube and allow placing it directly on a page. YouTube can track the instances of your video embeds and can use this as a ranking signal. Without a doubt, YouTube offers an unparalleled opportunity for brands. You can boost it even further if you ensure that your videos rank in Google, too.